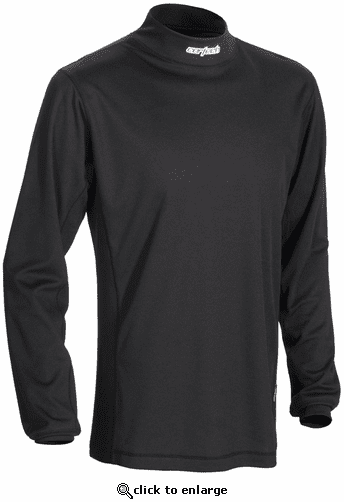 Lightweight, slim-fit design base layer. Body fabric is Coolmax\xAC mesh, a cooling and moisture-wicking material. Side body fabric is 4-way stretch mesh. Sleeve cuff fabric is rib, 100% polyester. Flat-Lock seams throughout the shirt keep the wearer comfortable.